In a new messaging program for the Canterbury School in Connecticut, Kelsh Wilson came to terms with a problematic fact: The word “community”—one of the most common in the viewbook lexicon— has not only been drained of its impact from overuse but, ironically, never meant that much to students to begin with. When you speak to educators, parents, and alumni who are passionate about a college or school, one of the top reasons they cite is its sense of community. The particular institutional personality may vary from place to place, but the story of personal connections, shared purpose, and a feeling of belonging remain essentially the same. What’s more, in focus groups with students, you find they agree—but with a catch: They rarely use the word “community.” They may speak about friendships or fitting in and feeling at home. They may say the best thing about the place is the people. But they don’t turn to abstract nouns, especially when they are seventh- or eighth-graders (a vital audience for any prep school). In other words, these students tend not to think in the same language as most administrators—and many marketers. 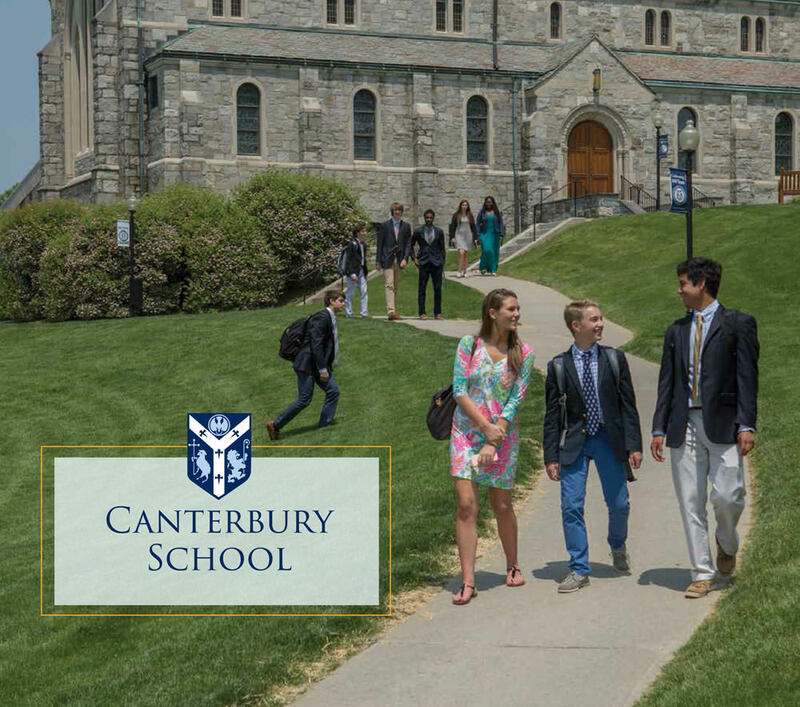 In a new communications program for the Canterbury School, a Catholic boarding school in New Milford, CT, Kelsh Wilson found that the message of community was absolutely central to the story the school needed to tell, and took on the challenge of driving it home with fresh impact. One part of the answer was to unpack the term “community” and explore its many dimensions at Canterbury—from the idea of shared values and an education delivered on a personal scale to an open-minded, open-hearted campus spirit, welcoming to newcomers. Another part of the answer was to invent a form of story-telling specifically to illustrate these ideas. In carefully planned words and photos, Kelsh Wilson’s new viewbook features Canterbury people in groups of two and three, speaking about their connections with each other. For instance, one section entitled “Form Powerful Partnerships”—presents Chris Roberts (teacher and coach) and Julia Dellaruso (student and player), with their comments on the varied ways they’ve worked together. The story-telling comes mainly in bite-sized quotes presented in a diagrammatic style over bold photos. Of course, the viewbook and the communications program as a whole develop other messages too, from the richness of the academic program to a commitment to service grounded in the school’s Catholic identity. But the signature creative element in the program—the profile stories—focus in on the signature strength Canterbury needed most to stress. Like other school-wide messaging projects that Kelsh Wilson has undertaken, the Canterbury project started with a process of message building and testing, in which a number of key themes expressed in different ways were shared with target audience members for reaction. In addition to admissions print materials and new ads, the project includes a Brand Guide, to help bring consistency to a range of other ongoing communications efforts.